The Tarte Lip Service set is limited edition for the holidays. It's out of stock online at Sephora right now, but it never hurts to check your local Sephora stores. I was able to find mine at the Sephora at the Eaton Centre downtown Toronto. Also since I'm talking about a Tarte product, today is the last day of their online F&F sale where you can save 30% off your order! ^ The inner packaging is glittery, but it does not rub off. Thank goodness, because is there anything worse than glitter packaging? One fleck of glitter seems to always multiply into hundreds! ^ On the left, you can see the bottom section. You just turn it to push up the product, just like you would with a regular lipstick. The right picture shows it all the way up. I've added a "keep reading" jump for the first time in this post. 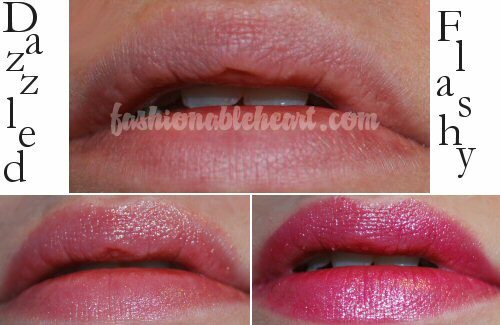 Click below to see lip swatches! I may start doing it this way more often. They are easy to apply and feel like a lip balm on. 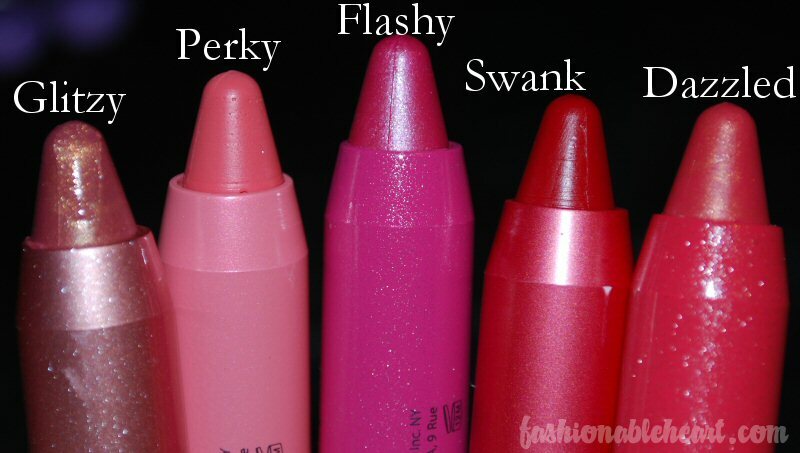 Flashy, Perky, and Swank have the most color payoff. Glitzy has the most glitter and when the color rubs off, all of the glitter stays on the lips in gold clumps. I'm not a fan of it on its own, but it might be better layered on top of another lip color. 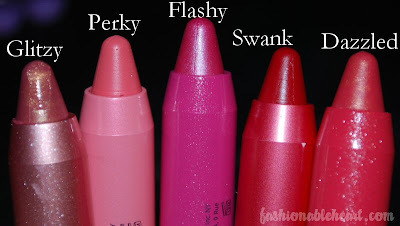 Perky is great for an everyday lip color and Swank is a red that I think most people can pull off. I think if you're afraid of red lips and want to take the plunge one step at a time, a red like this is perfect. There is a slight minty smell and you can feel the cooling sensation of the mint on the lips. If you are one to have allergic reactions to peppermint oil, you may not want to take a risk of using these. The Vitamin E, jojoba seed oil, and peppermint oil help these to moisturize your lips. These five lip pencils are full-sized at .1 oz and costs $29 US. I can't remember what I paid in Canadian dollars, but it was probably around $32. One LipSurgence pencil on its own is normally $24 US/$31 CAN. This is a great deal and certainly worth trying, if you are able to find these! Oooh! Great colours and great value!